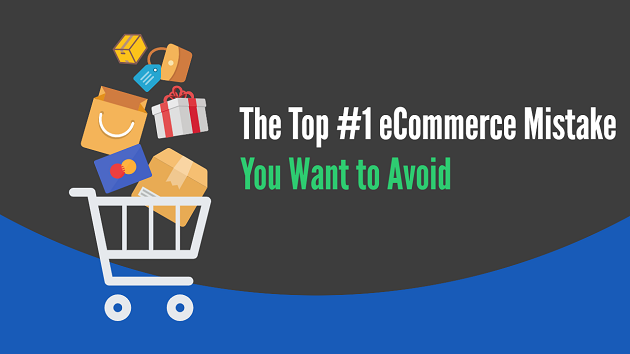 ⦁ Hi friends in this article we are going to see "The Top #1 eCommerce Mistake You Want to Avoid"
⦁ If you are new to the Ecommerce Field, the experience option is also not available to you. ⦁ So whether you are new (or) experienced in ecommerce industry, if you want to increase your success rate in next level, you should also read and analyse the experience of other ecommerce industries which you can find what are the mistakes they have done and how it was recovered and finally you can avoid unwanted mistakes in your ecommerce. ⦁ Baymard Institute in one of their study found out there are 69.89%(at present) carts abandoned every year. ⦁ Some Customers have doubts about the ecommerce site and may refuse to give the credit card information. ⦁ Sometimes the credit card will be declined and so the purchase will be ceased by customer. ⦁ The Checkout Steps looks very complicated. ⦁ Slow delivery of the product.Some customers may interested to buy items.But when they review and finds it slow delivery they will not complete the order page. ⦁ Slow loading (or) Errors in Website. ⦁ First collect the emails of abandon cart. Email Collection and improving them is very essential thing otherwise you will see huge downfall in sales. ⦁ OptinMonster can be used to collect and analyse email lists and also can be used to minimize abandonment cart by sending email to them. ⦁ OptinMonster is an online software which is helpful to collect leads and you can do most of the email marketing stuffs. ⦁ Another big advantage you can use optinmonster to wordpress , blogger and any sites which has html coding. ⦁ Creating optin forms is easy with OptinMonster as the dashboard was designed in a smart way.Additional to this live preview is available while creating optin form.Within the live preview we can do changing fonts and its size , images can be added and more design things can be done. ⦁ OptinMonster has a great feature called as MonsterLinks .Double Optin has the huge potential to increase sales .Monster Links is similar to Double Optin which turns a link and image to be a double optin.Monsterlinks comes under the Zeigarnik Effect Principle. This effect says when a task is going on and not yet completed, people can able to remember the task until it is completed . Now let we see how we can use optin monster to minimze abandonment cart. 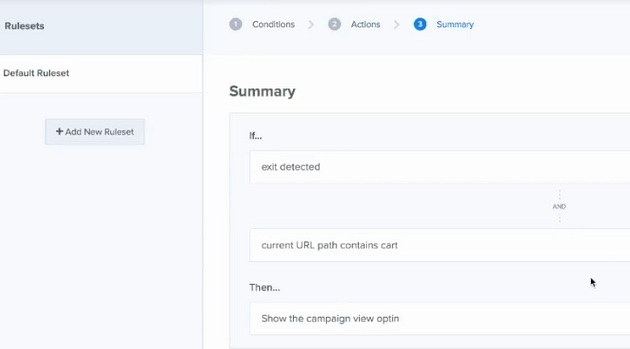 Optinmonster has powerful tool called as display rules which has conditions and some unique actions.While coming to abandonment cart mail, We can use exit content rule.When user leaves the checkout page . 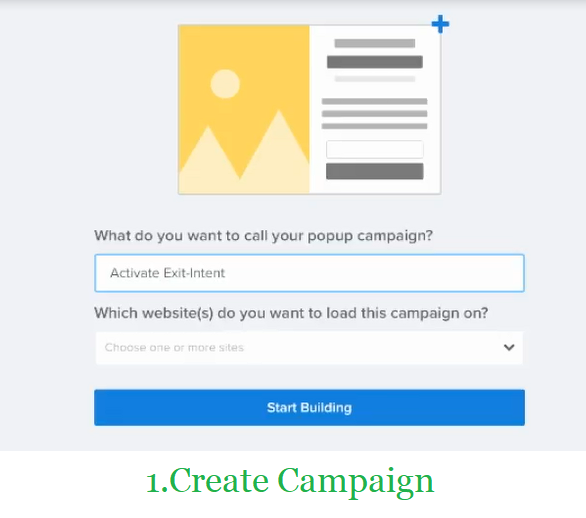 Note:Exit-Intent will not trigger campaigns on mobile devices.However you can use the Inactivity Sensor rule to trigger campaigns for mobiles devices. Todo Exit intent , first a campaign need to be created. 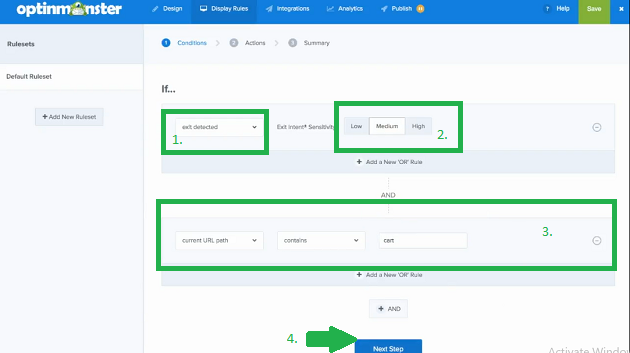 3.Next click Display Rules . i) In the, If Drop down option choose exit deducted . ii) Set the Sensitivity to medium Low , Medium and High. iii)Here the type of rule in the dropdown ,choose current URL (since our aim is to set exit intent for abandonment cart). Next in the operator drop down menu choose contains . Next in the value field enter cart.The value cart can be another text , we just gave for sample purpose. In the action tab , You need to give which optin is going to be shown. In the summary tab it displays the information of what we have done in the conditions tab and action tab. Now with the help of optin form you can get some emails because some customers may have left the cart page but not with full heart.And mostly customers will be ready to give their email address in optin form. ⦁ Next Prepare some plan to send mails at right intervals.Because the plan differs from one ecommerce business to other ecommerce business. ⦁ Suppose If you have run a special sale for 3 days means.And on first day you should have collected some emails .Now Send your 1st email after one hour.Send next mail after 24 hours .Send another mail on last day. ⦁ Set Countdown timer in the sales page .It will make the customer to feel "Don't miss the wonderful opportunity"
⦁ Set Payment Method available in accordance with your focus region,area (or) country. ⦁ Branding your ecommerce site.At any cost don't give up in this matter.Because then only Customer will trust your business and provide credit card details to purchase.Branding starts from logo,color and so on. ⦁ Make the checkout steps in very simple manner.You can have tabs but be sure not maximum three tabs. ⦁ Create fast loading website.